These Days, we received several emails from our buyers who reported that their iPhone 7 Won’t Turn On, we talked with some of our customers who encountered these problems, searched on internet to find out why such problem occures and how to bring the devices back to life? If you have an new iPhone 7, but it Won’t Turn On. it maybe just a hitch, or a battery drain issue, even this device suffered physical damaged and issue with the firmware. Today, we will talk about a complicated problem-hardware issue, we will guide you on how to be able to bring the iPhone 7 back to life? How to checking the Logic Board is short-circuited or not? disassemable the phone, take apart the battery, Reading the phone's current with DC Power Supply. check the current whether is normal ot not: use the ammeter, if it jumps to 350mA, which means it is abnormal, the Logic Board is short-circuited. Remove the CPU SDRAM with chip grinding machine, put the new SDRAM, please do not reverse the direction, than solder with hot air gun. 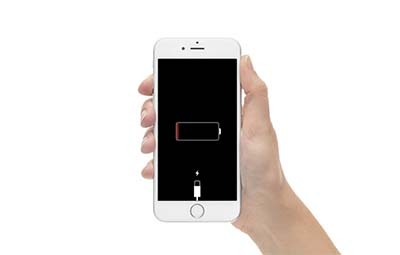 Now, you can ssemable the phone, re-checking it with DC Power Supply, if all is perfect this time, you should connect the phone to the PC, let it get into DFU model, restore the iphone via itunes, let all function works find as before.